Today we went exploring, as we are prone to doing in winter. Truth to tell, we’re pretty much prone to dropping everything and wandering off vaguely, quite of our own accords at any season of the year, but we make a pointed effort to do so in winter so as to avoid doldrums (which are not nearly as musical as one might think). Today we headed hazily in the general direction of Brigus, which means we went sort of west and rather north and stopped whenever the heck we felt like it, or the light was good or someone saw something that needed closer examination. Our first detour was Avondale to check out the train museum there. I had a good feeling about the train station and Katherine was an enthusiastic second to the notion, so off we went, up the Avondale Access Road in search of a dead-end track. “Why would you go to a seasonal museum at a defunct railway station in the off-season?” you might ask (and quite reasonably so). Well, really, I’m not sure. There were fewer tourists than there might be in summer, although never having visited in summer, I can’t say for sure. 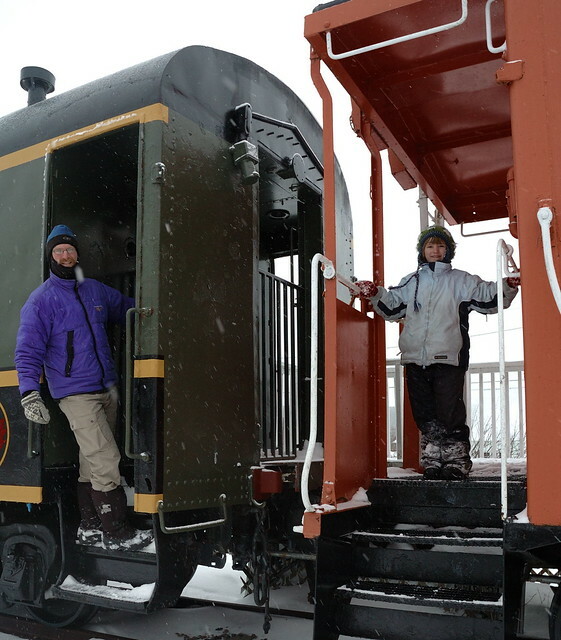 It was nice to be able to explore and crawl under trains and lie on the snow plough without having to worry that anyone might care. John took full advantage of this. Proper place for a lawyer. 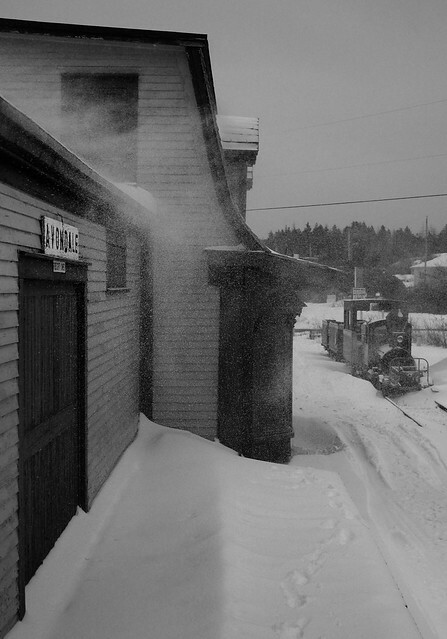 More to the point, though, we got a bit of a feel for how cold and desolate such a station might be in the grips of winter many years ago. 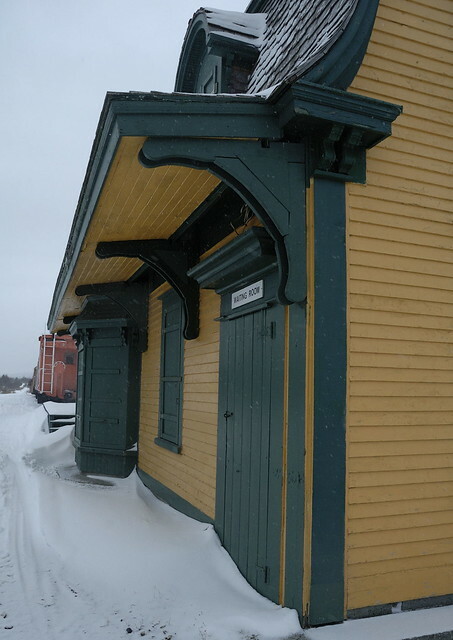 The station was initially built as a telegraph station in 1863 and later taken over and used as a railway station by the Reid Newfoundland Railway Company in the 1880s. 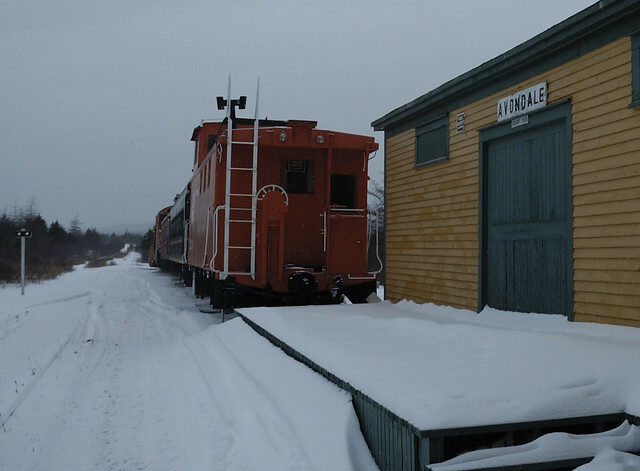 Trains haven’t run in Newfoundland since 1988, so there are a number of defunct stations about, although this is the oldest. Granted, there would have been more activity and people about, but climbing about on trains in the cold certain gives on a greater appreciation for the rigours of the work done. And I got to crawl around under trains, which is always fun. The dining car was closed. 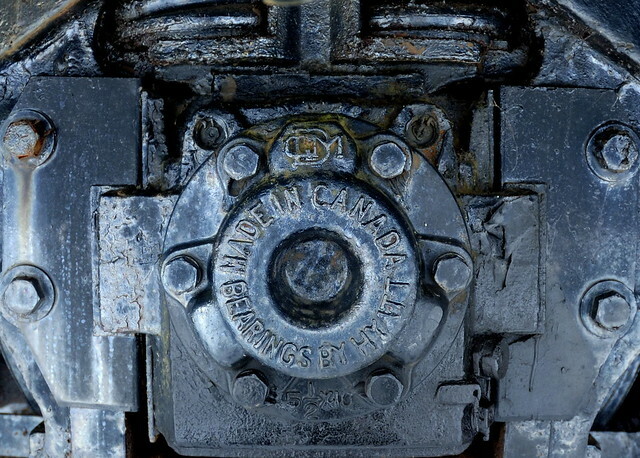 trains eh…… a point of interest….. 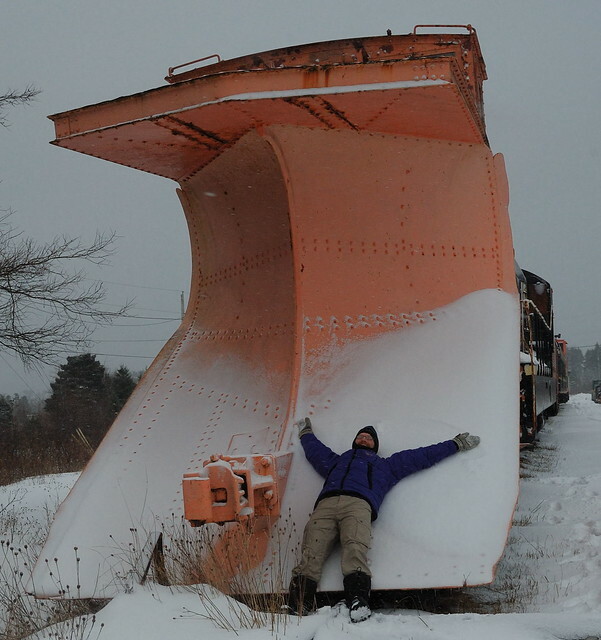 I was a conductor/locomotive operator for the CNR in an earlier version of my life and actually, in my early years worked on one of these snow plow units. It was a very interesting 35yrs.